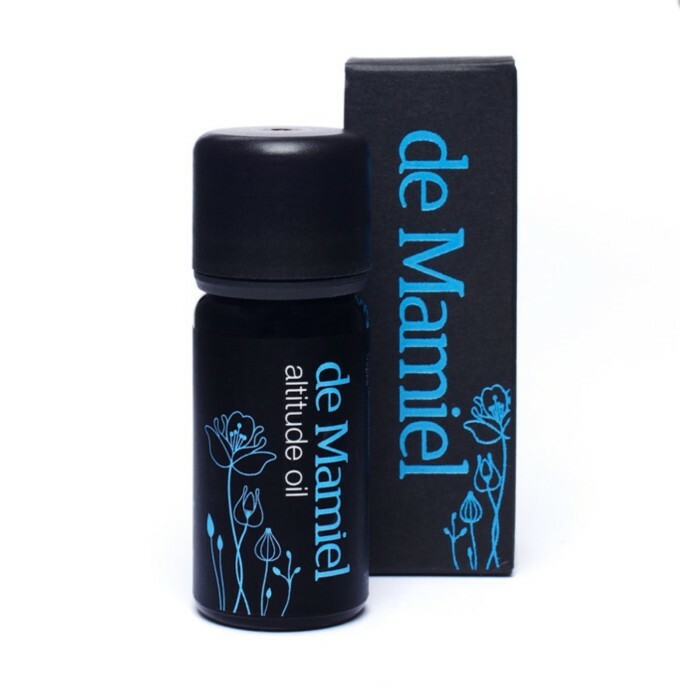 Travelling Refreshed & Well With de Mamiel Altitude Oil! I have three trips to take in the next six weeks, and there is no time to be under the weather or stressed out! My typical flight plan includes frankincense oil on my feet, non-stop layers of lotion on hands, face… lip balm unending… and tons of hot water and lemon (I bring lemons in my purse) with fresh fruit (and only fresh fruit… eating on planes can cause jet lag, I’ve been told). Today, I’m so excited that celebrity makeup artist and balanced beauty expert Chantal Moore has a holistic solution to exhausting flights, packed with powerful aromatherapy! From Chantal: ” Traveling can be rather stressful. I mentioned my germ phobia while on planes and overall disdain for airports to a British model recently and she recommended that I check out de Mamiel Altitude Oil. It was my first introduction to this handmade line out of London from Facialist/Acupuncturist Annee de Mamiel. Previous post: Make Rugs And Pillows From Your Old Clothes! Next post: Here’s Why Colored Candles Are Amazing!